Scooper - Technology News: Is this the answer to youth unemployment in East Asia? 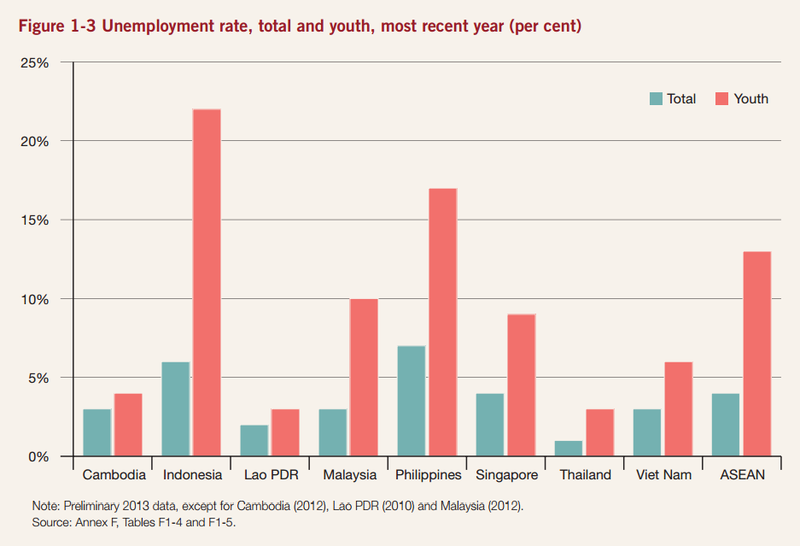 Is this the answer to youth unemployment in East Asia? Throughout history, nearly every country has faced the challenge of unemployment at some point. From the Great Depression in North America to difficult years following the Second World War – to more recent challenges such as the demise of manufacturing in the West. Today in Europe, 22% of young people find themselves without a job. Although unemployment levels in most parts of the ASEAN region are not as significant as in Europe, there are some lessons to be learned. In February this year Malaysia’s unemployment rate was at its highest since November 2013: at 3.4% of the population, and around 10% among the young. It’s likely we all know someone who has completed higher education but still hasn’t made it on to the first rung of the career ladder. We are at risk of creating a lost generation, which is unacceptable both morally and economically. Such high unemployment not only damages economies but also disrupts social structures and the communities we live in. At some level, unemployment will likely always exist – in South-East Asia as well as other parts of the world. It’s how the situation is managed that is important, and there are actions that we can take. The paradox is that while unemployment grows in some areas, millions of jobs remain unfilled: 8 million in Europe and the United States alone. This happens because those looking for a job possess the wrong or minimal skills – or lack the right on-the-job experience. Young people today need to be armed with the skills that hiring organizations are looking for and the experience to get them started. This is where companies and organizations have a role to play: temporary jobs, internships and apprenticeships can provide a means of getting that first opportunity and a foot in the door. However for many organizations, including those in the ASEAN region, this means re-considering the composition of their workforce. The concept of “one job for life” is fast becoming history. Through the combined power of committed organizations, unemployment can be reduced. An example of this is the Global Apprenticeships Network , an international coalition of companies that work closely together to develop work-based training and boost young people’s employability. Beyond projects such as these, though, there’s also call for a wider collaboration: companies, governments and academic institutions can work together to initiate educational programmes that are relevant to today’s workplace and that offer value to business and industry. This article first appeared in the New Straits Times .